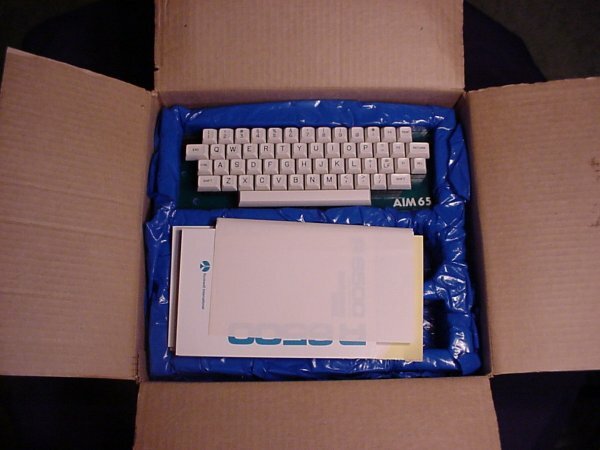 Remember how early computers didn't come with a printer. 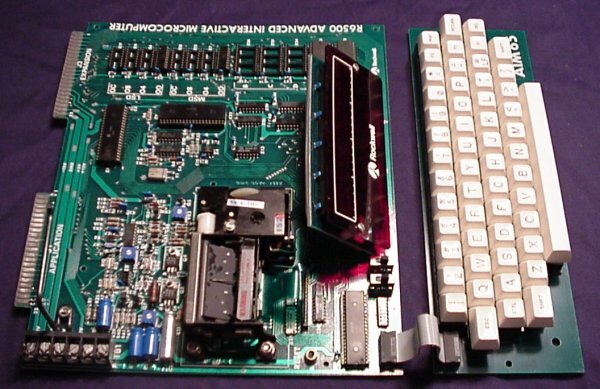 How a about a single board computer with an on-board printer? Sounds outrageous, doesn't it! 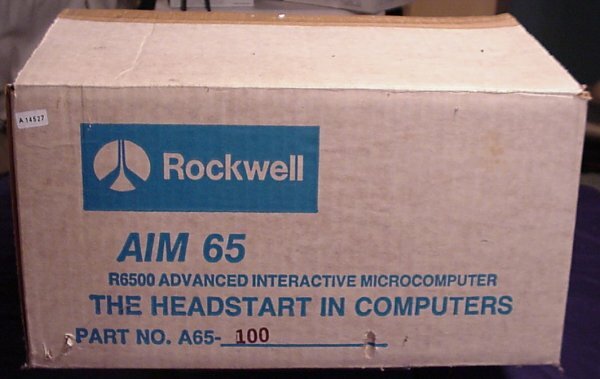 Well, the Rockwell AIM 65 is just such a beast. There's even a hunk of wire sticking out specifically to hold the roll of paper. 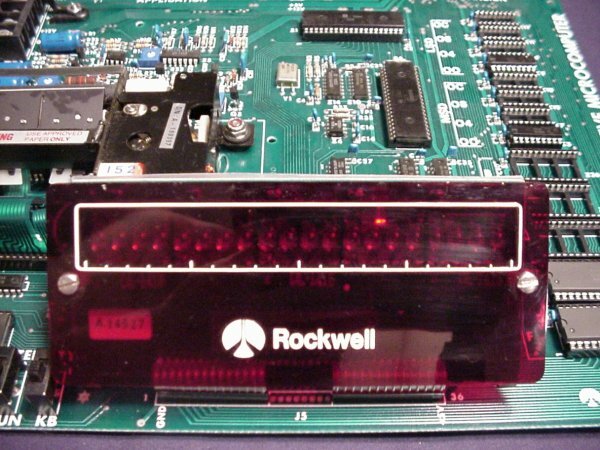 The AIM 65 also comes with a single line LED display. 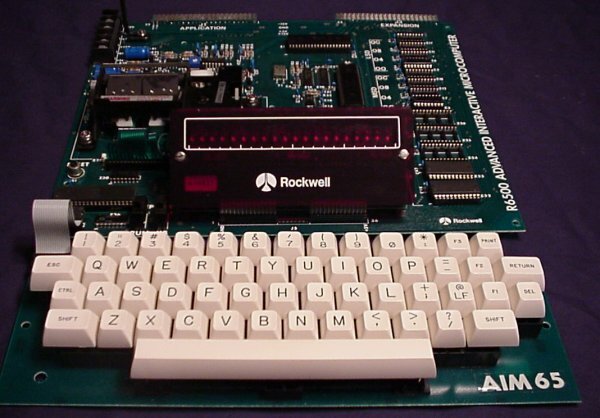 You could hook the keyboard directly to the system board, or hook up a TTY terminal. And the full schematic came with as an added bonus. 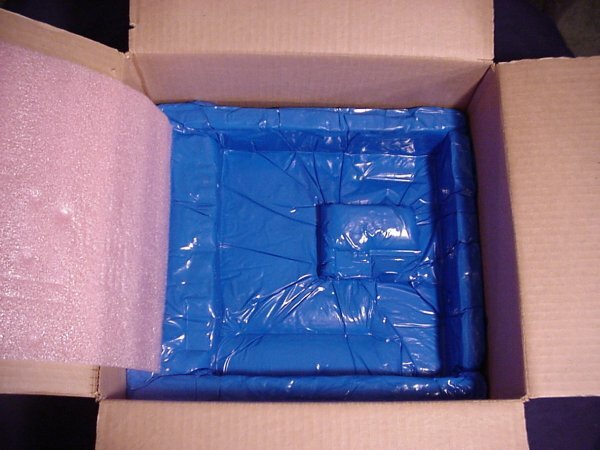 Also of note is the custom packaging for it. Here's the system board. 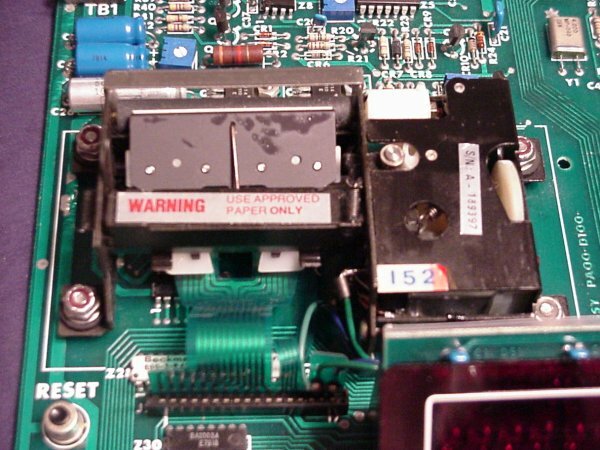 The piece of wire hanging over the board is the paper roll support for the built-in printer. 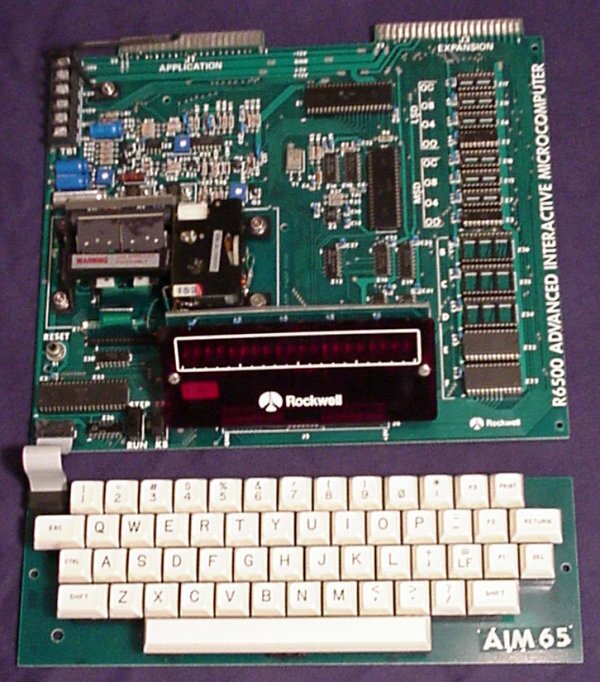 Front view of the board. 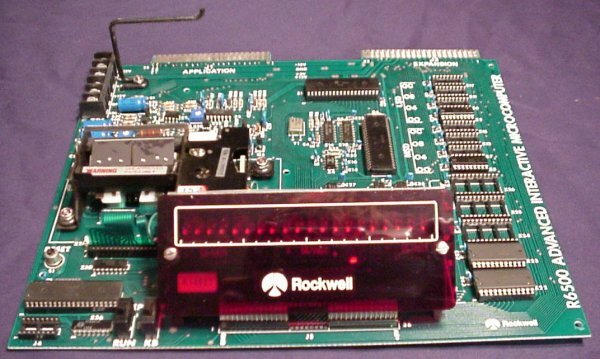 Side view of the board. Important buttons right there on the board. (Reset, Step/Run, and Keyboard/TTY). Here's a shot of the thermal printer, right there on the board. 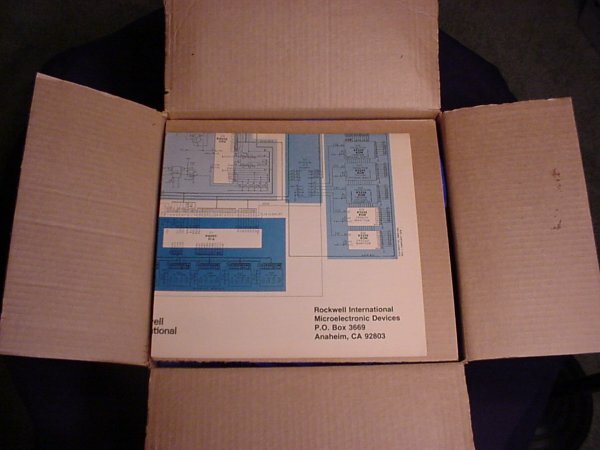 Side of the box, IDing the unit. Opening the top shows the large schematic diagram. 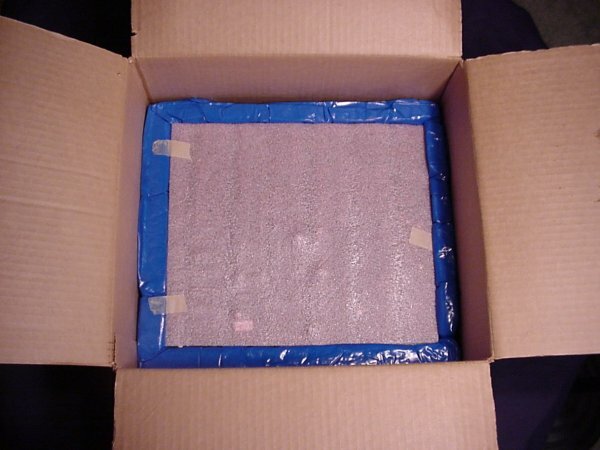 The actual board lies under this thin sheet of foam, upside down. After removing the board, you can see the custom foam underneath, form-fitted to the components on the board. Click here to view all comments for the Rockwell AIM 65 and to leave your own. 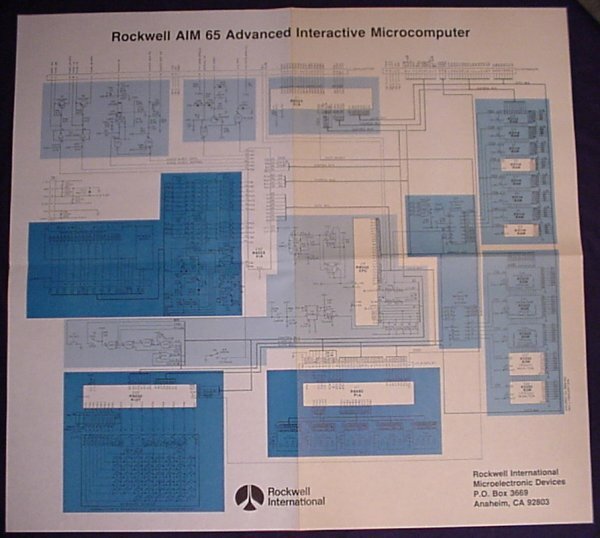 Click here to view comments about other Rockwell computers.